Three Ireland, Irish football's primary sponsor, has said it has been in contact with the FAI over recent revelations regarding the association's finances. Last week the Sunday Times reported that FAI CEO John Delaney made a €100k payment to his employers in April 2017 and that it was repaid in full two months later. The report sparked a flurry of statements from Abbotstown with the FAI confirming that Delaney gave the association a €100k bridging loan because of a short-term cash-flow problem. Delaney stepped down as CEO on Saturday after Ireland's 1-0 win over Gibraltar to take up a new role as Executive Vice President in the association. A fresh report in the Sunday Times yesterday revealed that Delaney's €3,000 a month rent for a house in Wicklow has been paid for by the FAI. Delaney is scheduled to lead an FAI delegation to an Oireachtas hearing on April 10 to answer questions about finances and corporate governance issues as political pressure increases on the Waterford man. Noel Rock called for Delaney's resignation on Independent.ie podcast The Floating Voter while Sport Ireland have demanded "urgent clarification'" on the €100k bridging loan. Workers at the FAI are also demanding an explanation for why they were suffering from pay cuts when the organisation was paying €3,000-a-month rent for Delaney. Three Ireland, who have been the primary sponsor of the FAI since 2010 and in November 2015 signed a new deal up until 2020 that is worth €8.9million, said it has been in contact with the FAI over recent matters. "As primary sponsor of the Irish national football team and all international squads, our focus is to promote the game of football for fans and our customers right across the country," read a statement sent to Independent.ie. 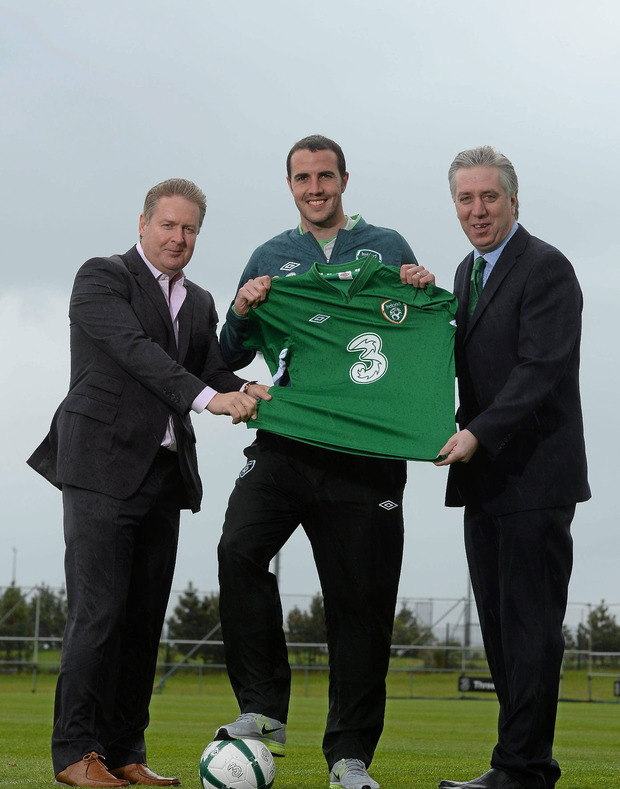 "As part of this, Three is proud to support the International men's team on its journey to Euro 2020 qualification. We are in contact with the FAI regarding recent matters and will continue to do so."